In the spring, avid and beginner gardeners alike get their hands dirty as they plant favorite shrubs, flowers, vegetables and herbs. Chase Mullin with Mullin Landscape Associates shares some of the shrubs and flowers he uses to brighten his clients’ landscapes and offers a few hints on the care of these sturdy and beautiful plants. While certainly not new, pentas were once considered primarily a greenhouse plant until the past few years when growers started offering them as a summer annual. They are a fabulous choice if you want bold color that survives even the hottest summer day. 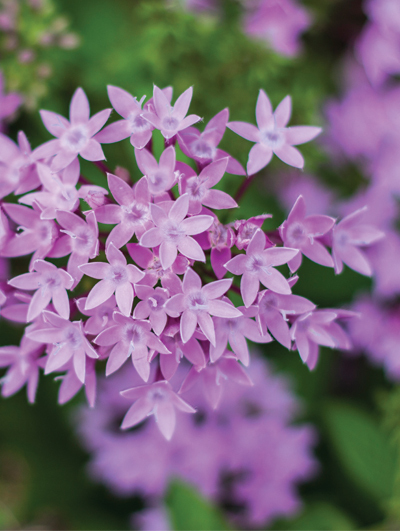 Tiny flowers form showy clusters above the bright green leaves and pentas bloom abundantly. The nectar-rich flowers grow over a long blooming season in red, pink and purple. Louisianan Robert “Buddy” Lee developed Encore azaleas in Louisiana in the 1980s. They are the most sun tolerant azaleas around and should receive four to six hours of direct sun daily with some afternoon shade. They prefer acidic soil with plenty of organic matter. Mullin suggests for optimum results that it is important to clean up azalea beds in the spring, apply a specific azalea fertilizer and then make sure to mulch. “Encore azaleas are bred to bloom,” says Mullin. “They are a proven winner and provide almost year-round color. And, the foliage is attractive too. There are a lot to choose from, as there are more than 30 varieties. The Encores can be divided into three groups: small, medium and large. The small variety’s mature size is approximately three feet wide and three feet high. These azaleas are suitable for foundation plantings and containers. 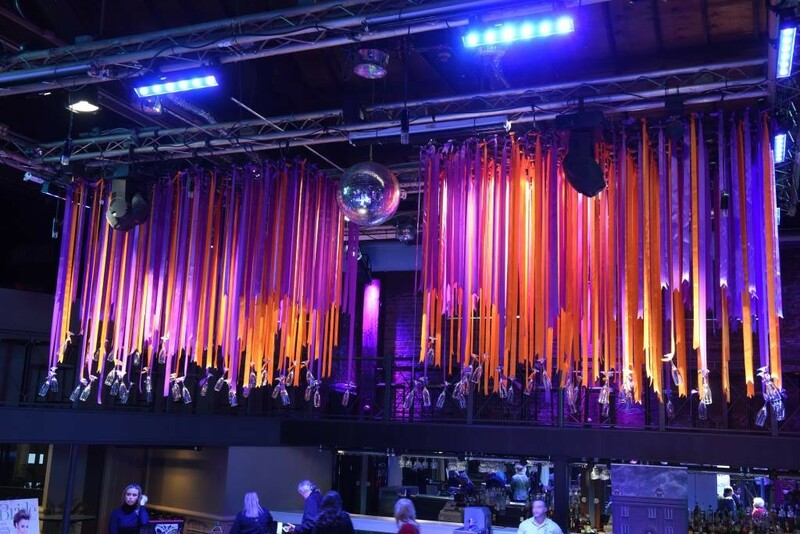 The medium-sized Encores are in the four-foot size range. They can be used as low hedges and low backdrops for smaller plants. The large five-foot Encores are suitable for accent plants and background shrubs in large beds. Hardy Caladiums provide vibrant colors all season long and need only good soil, occasional watering and fertilizer to thrive. While they don’t present glorious blooms, their colorful leaves provide color and texture all summer long. Many caladiums love shady areas and some caladiums will tolerate full sun. If planted in full sun they will require more watering. The bulbs should be planted in the landscape in the spring after the last frost. Caladium bulbs have a rather smooth bottom side and knobby top. Though they will grow no matter which way you orient them, planting with the topside up will provide you with the shortest sprouting time. Camellia Sasanqua has been cultivated in its native Japan since the 14th century and in the American South for nearly 200 years. It may not have the large blooms of the Camellia Japonica, but it’s a functional plant for your garden because it is so manageable. Sasanquas are versatile. Dwarf types can be used as foundation plantings and low borders. They can be clipped into hedges, used for tall screens, or pruned into tree form. They are especially enchanting when used as an espaliered plant, a technique used to train plants to grow flat against a vertical surface. Some exude a pleasant tea scent. Colors range from cherry red to fairest white. Individual flowers live a short time but new flowers quickly replace them. A cross between full-size groundcover roses and miniature roses, drift roses are repeat-bloomers, disease resistant and virtually maintenance-free. These roses are fast growers and benefit from fertilization. The recommended feeding is right after the late winter pruning and then every six weeks or so during the growing season with a rose food or an organic plant food. One interesting variety, and there are lots to choose from, is the Popcorn Drift Rose. It has a pastel bloom and a sweet fragrance. It produces tight creamy yellow buds that open light yellow color and then gently fade into a creamy white with faint yellow accents. Fruit trees make a welcome addition to many landscapes. Being aware of your soil type is key to a bountiful harvest. Most fruit trees need well-drained soil and a minimum of six hours of direct sunlight. You can pot most any dwarf or semi-dwarf fruit tree, so long as you keep moving it up to larger pots as it grows. In the case of your container, it’s best to go with a quality pot. Remember, drain holes are critical to the tree’s health. Also, some fruit trees need two different varieties of trees planted relatively close together in order to ensure pollination. So be sure to do your research or ask the nursery to make sure you have fruit to pick in the fall.